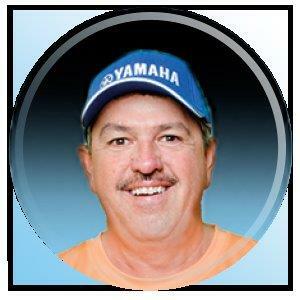 Captain Randy Towe of Tavernier, Florida, has been a fishing guide for 29 years in the South region from Biscayne Bay and Everglades National Park, down through the Florida Keys. An expert on both inshore and offshore fishing, Towe enjoys it all. From light tackle backcountry fishing to heavy conventional action way offshore, Towe fishes out of two 2 boats—a Pursuit 34’ with twin 250 Yamaha motors and a18’ Action Craft with a 115 Yamaha outboard. A resident of the Florida Keys, Towe competes as a guide and sometimes an angler in 25 tournaments each year. He has won several awards for these tournaments which include Backcountry and Offshore categories. Over his 29 years of fishing, Towe has caught almost every fish that swims. He particularly enjoys sharing his knowledge with his clients and friends.